I’ve given an interview to Oleg Dusayev of the New Times internet portal. Watch it and read the Russian transcript here. Here is a rough translation, corrections welcome. OLEG DUSAYEV: Greetings. You are watching the New Times portal, I’m Oleg Dusayev. A criminal investigation has been opened against Dmitry Solovyev, an activist with the Oborona organization. He’s threatened with prison. I’m here with Oborona coordinator Oleg Kozlovsky to discuss the matter. Hello, Oleg. 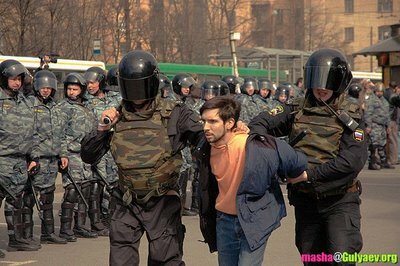 Oleg Kozlovsky, the coordinator of the youth movement “Defense,” arrested for intent to participate in a “March of Dissenters,” believes that Russian law enforcement was in fact not executing the criminal code but rather instructions from on high. Having just gained his freedom after serving a 13-day sentence, he tells Deutsche Welle his story. Deutsche Welle: Oleg, using the phraseology of Russia’s new president, is freedom is better than the lack of freedom? 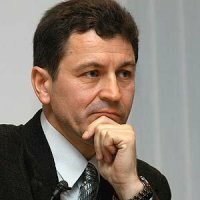 Oleg Kozlovsky: Of course, based on recent my personal experience I can’t dispute this thesis. DW: What is it about your work the authorities do not like? Why did you spent 13 days behind bars? OK: I think that those in power have accumulated irritation against me for my protest activities, and they tried, one after another, different methods of combating their opponents. The first arrests were ineffectual because the charges were minor and resulted only brief periods of a few hours behind bars. But as time has passed the authorities have apparently begun to fear that a mass movement is developing, and they’ve begun to impose more draconian measures. So they’ve invented new charges to put against us. GANAPOLSKY: Our guest today is the leader of the movement “Oborona” — Oleg Kozlovsky. Greetings. GANAPOLSKY: Tell us your story. Note: This interview was originally published on Robert Amsterdam’s blog. INTRODUCTION: The leader of “Oborona”, Oleg Kozlovsky, definitely creates the impression of a thinking, daring person, interested in the fate of his country. 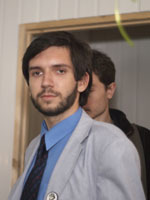 Oleg is an active participant in and organizer of the “Dissenters’ Marches” — public protest actions by citizens of Russia against the arbitrariness of the powers. To these actions, the power responds with even greater arbitrariness — arrests of the activists, the filing of fabricated criminal charges, beatings. Oleg has already spent five days in a cell at a “special receiver” (that’s what they call the place where they hold persons who have been temporarily arrested; previously, these establishments were used exclusively for holding alcoholics and street vagrants. The Putinite power has come up with the idea of holding political prisoners and all manner of dissenters in them) for participating in an allegedly unsanctioned rally (the fact is that under the Constitution of the Russian Federation, permission is not required to hold a rally — the organizers simply have to notify the power of the place and time such a rally will be held). Then it turned out that Oleg Kozlovsky is so disliked by the Putinite power that they had decided to isolate him for a long time. But here, let him tell us in his own words how this took place. GRIGORI PASKO: Oleg, how did it happen that almost immediately after the “vagrants’ cell” at the “special receiver” section, they forcibly “shaved you into a soldier”? OLEG KOZLOVSKY: Everything happened unexpectedly. After getting out of the “special receiver,” section, police officers came to the address of my certificate of domicile in Moscow and started asking the neighbors about me, supposedly because someone suspected of extremism had come to me. When I was leaving for a while to Ukraine, police officers stopped me at the railroad station and said that I was an extremist. I felt that something was afoot. On the Day of the Chekist, 20 December of last year, I went out of the house in the morning. Suddenly I was stopped by policemen and two in civilian clothing [colloquial Russian for plainclothes officers working for “the organs” –Trans.] (later, at the military commissariat, they told me that they were from the FSB). The policemen said that they have a paper from the military commissariat and that I need to go there.